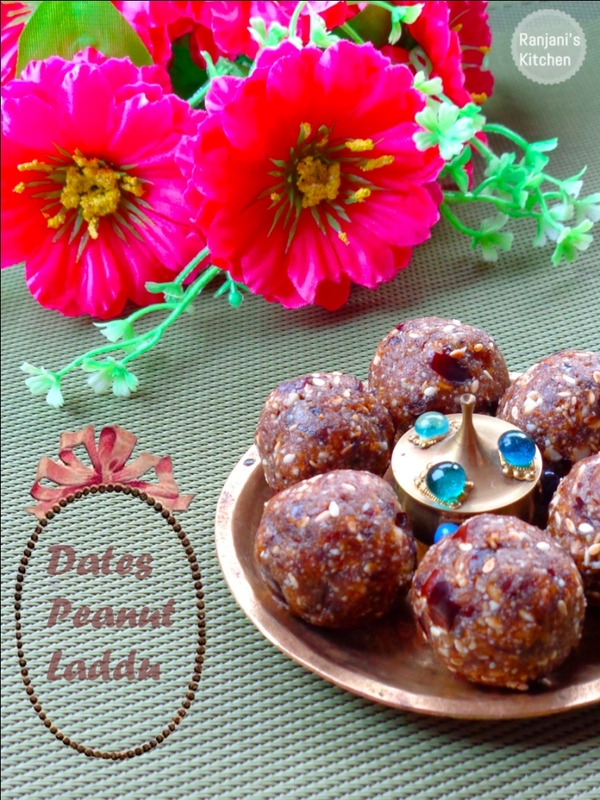 Dates peanut ladoo , tasty and energy filled indian Sweets recipe.We can prepare this with equal amount of dates and peanut or adjust accordingly as per our taste. Heat a wok, dry roast peanuts in medium or low flame till the pop sound stops and the skin changes to semi black coloured. In the same pan, dry roast the white sesame seeds and keep aside. Once done, switch off the flame , completely cools the peanuts, and peel off completely. Add this peanuts to mixer jar, grind it coarsely and keep aside. Remove the seeds from dates and grind it coarsely in a mixer. 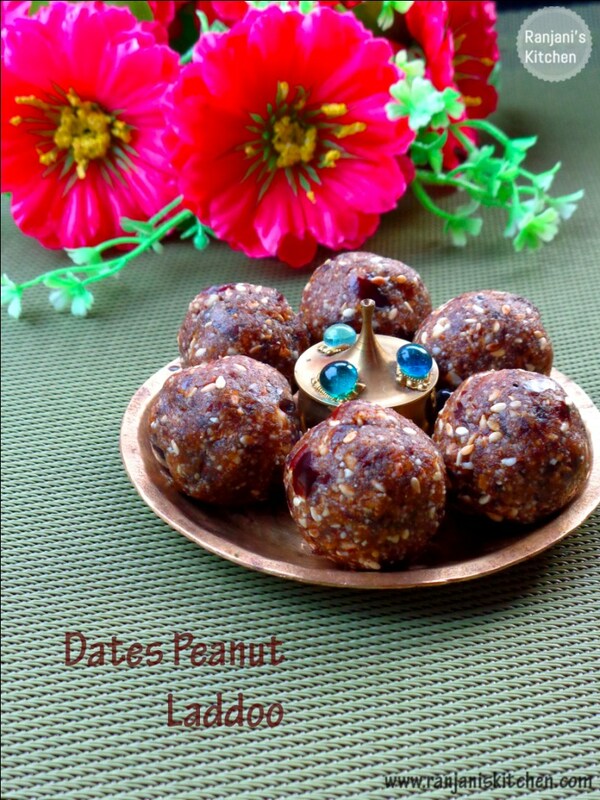 Mix the the grinded peanuts, dates and roasted sesame seeds. Knead with hands to mix three ingredients together. 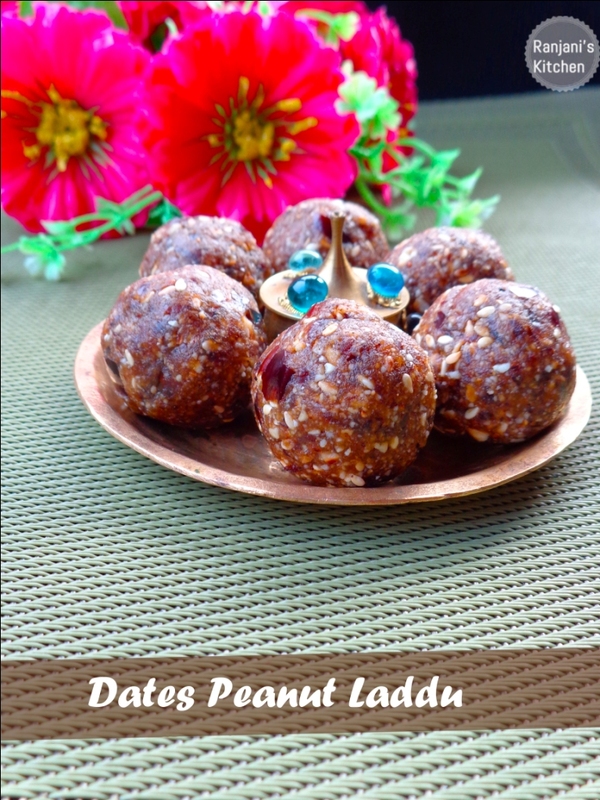 Pinch a small portion and make a round laddu. Do the same for remaining dough and make equal sized laddu’s. Store it in a airtight jar. Use black variety dates preferably. Other kinds will be little thick than black dates. So we cannot make laddoos without adding milk. We can keep this laddu for one month in airtight box. Am not sure about the shelf life if we added milk. Surely will try and update. Look yummy, intend to try it.